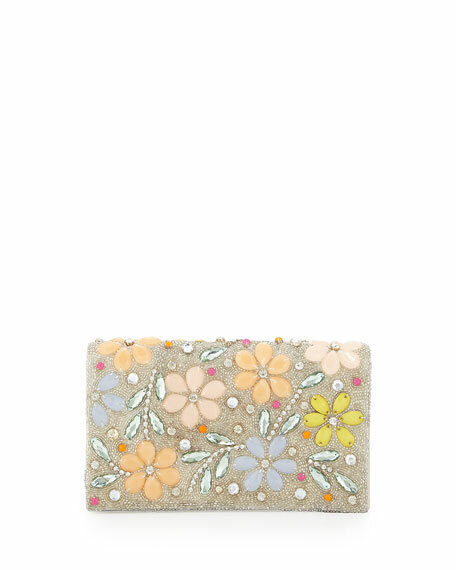 Alice + Olivia allover beaded floral clutch on leather. Flap-top with magnetic snap closure. 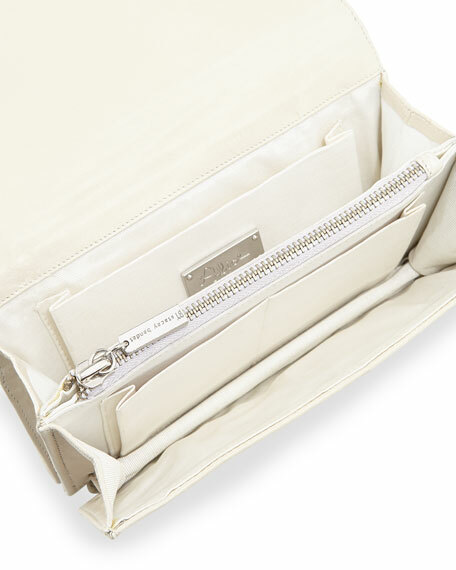 Inside, faille lining; zip compartment divides center. One zip and three slip pockets. 4.5"H x 8"W x 2"D; weighs 14 oz.